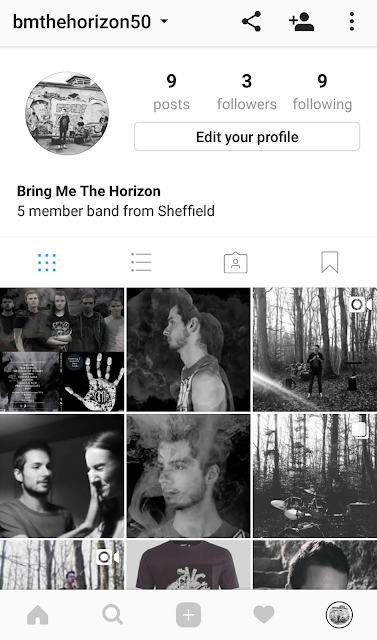 I decided to set up an instagram account for our band, as most bands and artists have instagram accounts, so that they can interact with fans and share news and new music. I posted images that I took whilst we were filming and also some screenshots from our video. I also posted 2 boomerangs, but I will go into more detail on those in a separate post. I also posted some of our merchandise. The theme that i decided to keep to is black and white. However i did post some in colour, but with very little saturation, so they still fit well. I think that the theme works well with the branding of our band and also the genre of music that they produce.